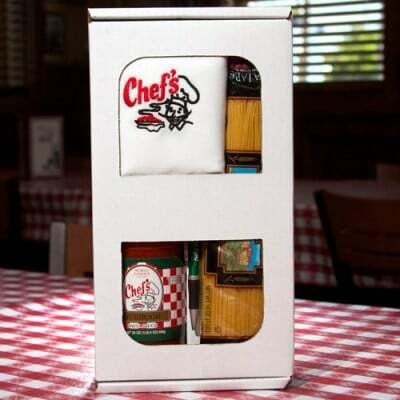 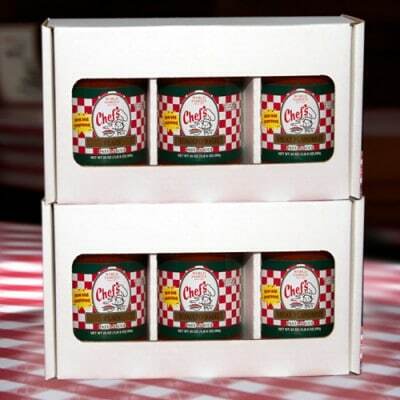 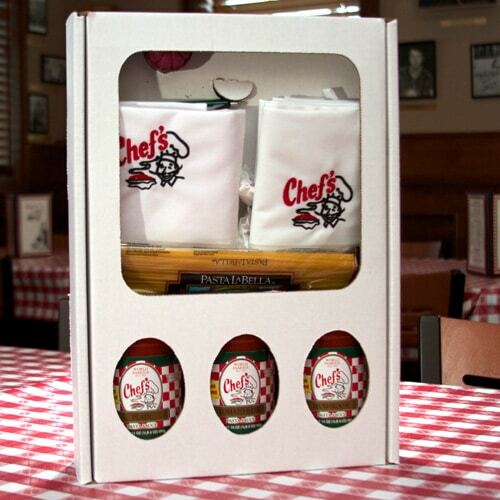 Three jars of Chef’s famous pasta sauce, one pound of pasta, as well as mints, candle, a Chef’s Pen, and 2 Chef’s Bibs. 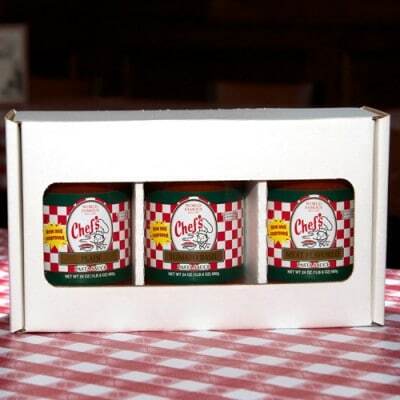 You may select one flavor for all three jars or mix and match flavors. 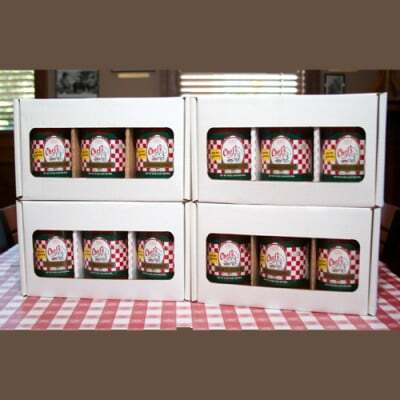 Quantity is for how many Large Gift Boxes you would like.